Every fisherman needs one essential bit of kit and that’s a fishing chair. Without it, you could be left standing for a very long time, and while it is nice to stand up and observe the waters it is also rewarding to sit down comfortably, especially if you are planning on fishing all day and night! Also known as the carp fishing worlds most comfortable armchair! Made by FOX a reputable fishing brand this is the ultimate armchair for anglers offering unrivalled comfort at the bank. 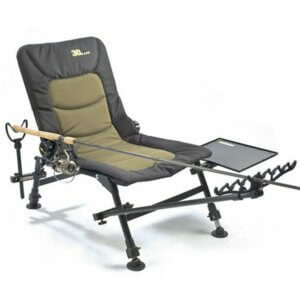 The Fox FX Deluxe recliner was the best fishing chair we found and came first on our list. The 4 adjustable twist lock legs with swivelling mud feet mean you can position this chair in almost any situation and still sit comfortably with the padded armrests and head support. Leggs have locking mechanism to secure them in place. With this reclining fishing chair, you really get what you pay for. Made from high-density ribbed foam mattress with microfleece fabric inner and luxury faux suede. Although this chair is a bit more expensive than some of the other fishing chairs available it was the most comfortable to sit in by far. Weighs just 8.5Kg to easy to transport. The fastest selling fishing chair in the UK from the original Robo Chair range. 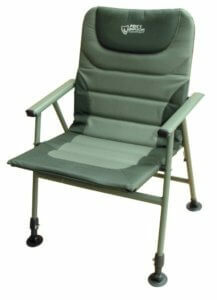 Reclines in multiple positions and has swivel lock discs either side to fix the recline position. Easily attach and detach bait trays, umbrella support or side arms with StarGrip 360 nylon fittings on each leg. The legs are 17″ (43cm) long when fully extended. The chair supports a maximum weight of 20 stone so even suitable for heavy anglers! 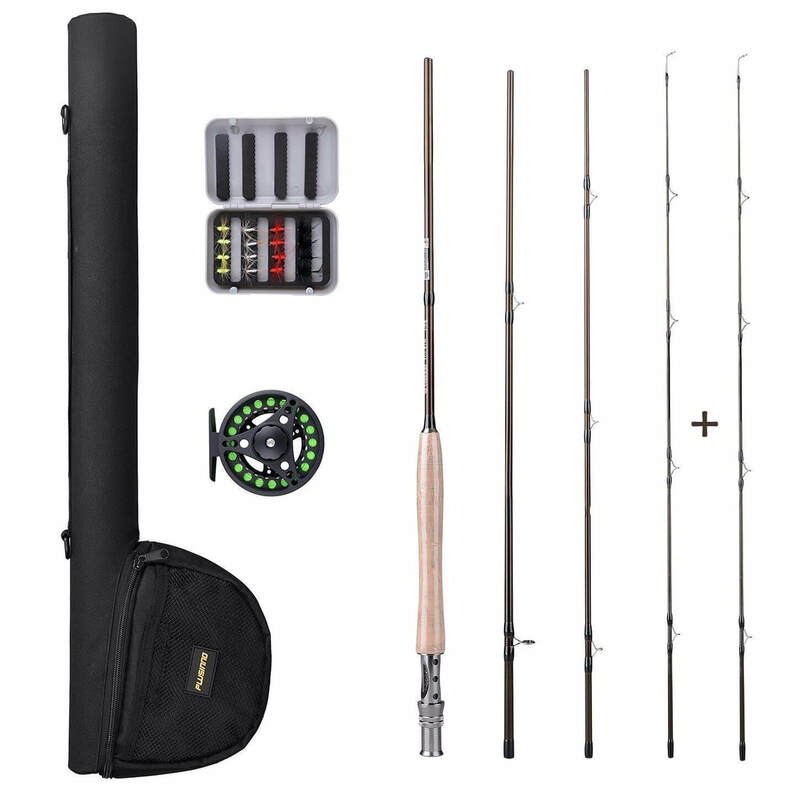 Full Monty includes a front feeder armrest and fitting, back support and fitting, two rests for the front and back supports, side bait tray and two bait boxes. The Robo chair allows you to easily fix and detach accessories. At just 5Kg the chair is lightweight and easy to carry. 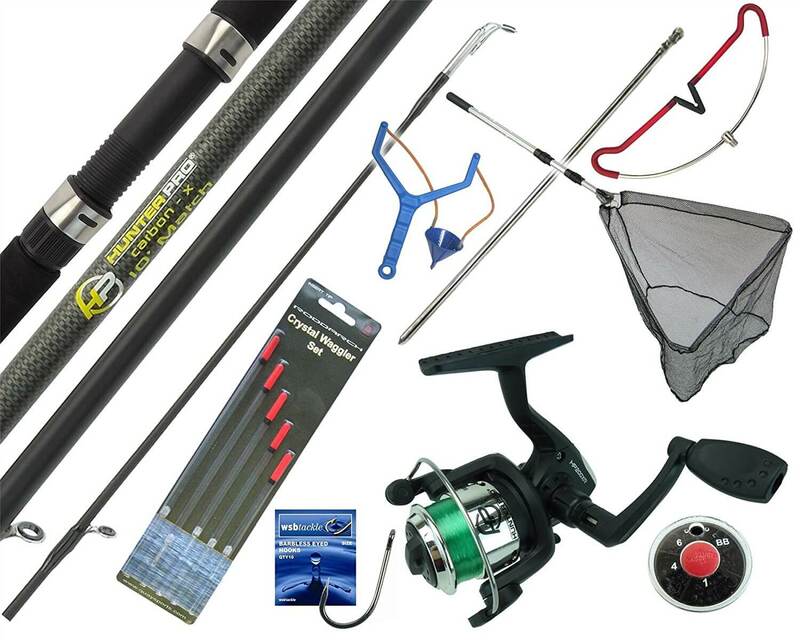 Perfect for fly fishing and day fishing trips. 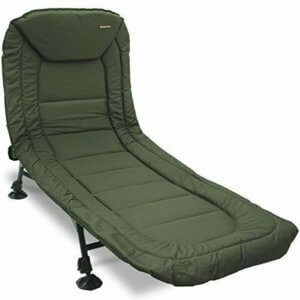 Overnight carp fishing bed chair by Cyprimax comes with 6 fully adjustable legs and a double sprung extra padded fleece that offers nothing less than a great nights sleep. 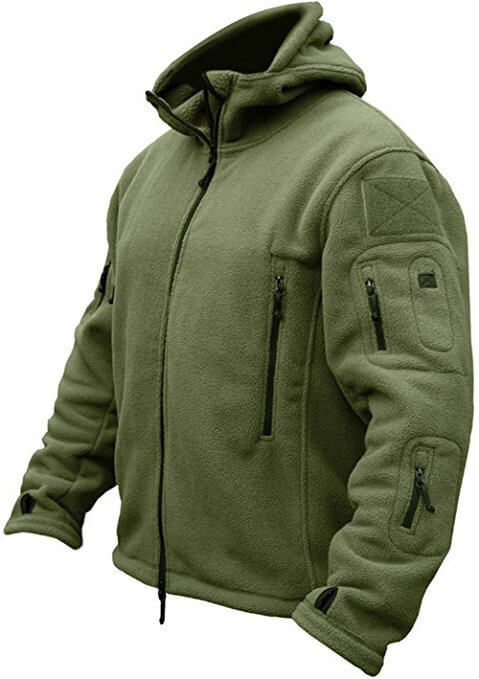 The fleece can be removed so is easy to wash and clean. 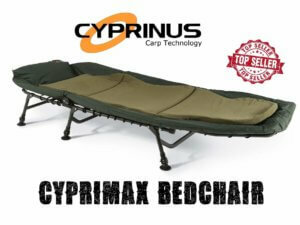 The Cyprimax carp fishing bedchair is made from a high-quality steel frame. This bed chair has a multi-point recliner system that helps to prevent wheel jamming. Well designed and very comfy for overnight fishing trips. The easy reclining system allows you to adjust the back and position at any angle. Six adjustable legs for added stability. This bed chair folds up and can be easily transported with you on the move. Weighs just 8.8Kg. 12 months guarantee with 30 day returns policy on this deal. 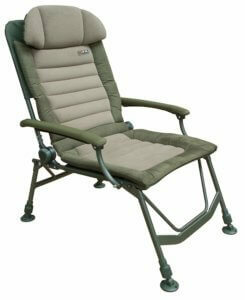 The Fox Warrior fishing armchair comes in natural green so is well camouflaged for lakeside or riverside fishing. 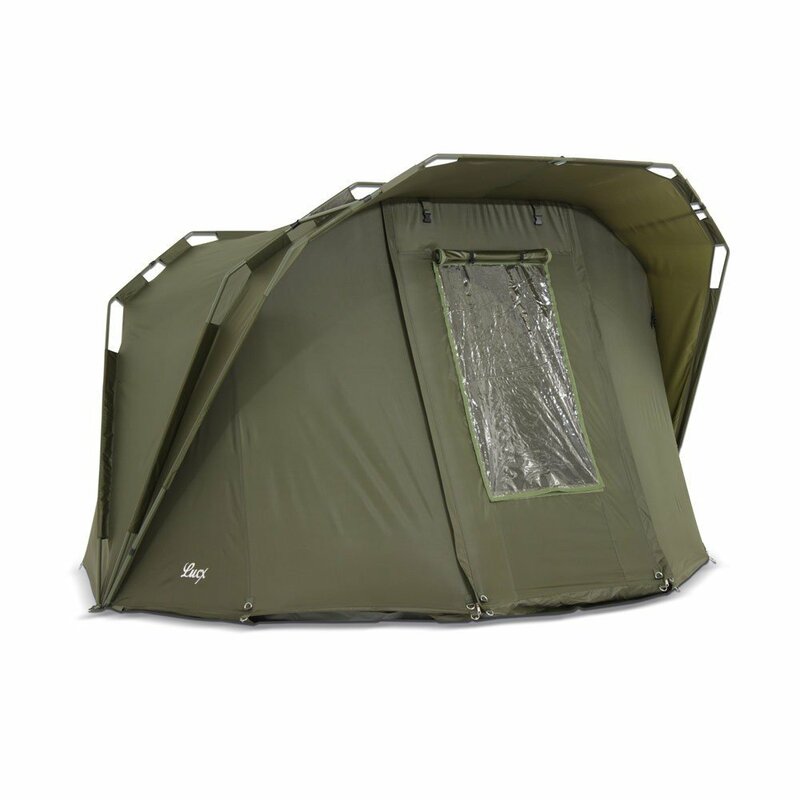 This armchair is suitable for any type of coarse fishing including both carp fishing and fly fishing. Whatever the season the Fox Warrior really does make fishing a pleasure. The front legs are fully adjustable so can be positioned at different heights making it perfect for fishing on uneven ground. This compact fishing chair is easily foldable so can be transported along with your fishing barrow or trolley on fishing trips. This fishing chair is a reclining armchair so can be moved into a number of different positions and is extremely comfortable to sit in and relax when fishing. The padding cover adds extra comfort that you do not find on cheaper fishing chairs. This fishing chair offers both quality and comfort, making the Fox Warrior a recommended choice for any angler. At a great price, this reclining bed chair by NGT offers generous padding to support your lower back and is very comfortable to sit in and relax while fishing. Unlike other fishing bed chairs in the same range, NGT have added a locking reclining system so it’s quick and easy to assemble. The back can be adjusted using different settings to position the armchair at an angle. 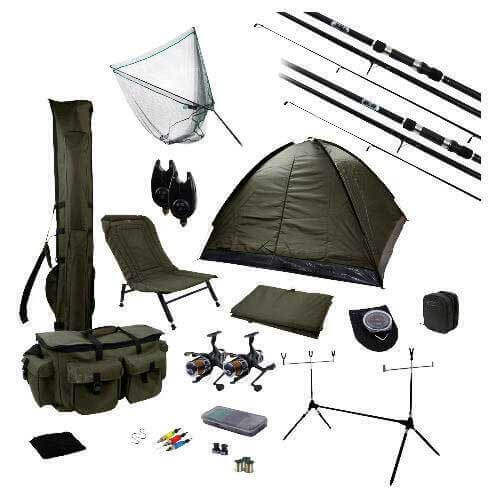 Fantastic carp fishing chair with padded mattress for added support. Each leg can be adjusted at different heights and come fitted with self-levelling mud feet suitable for soft and muddy ground. This fishing chair weighs 8,3Kg so is easy to transport and carry with you on fishing trips. 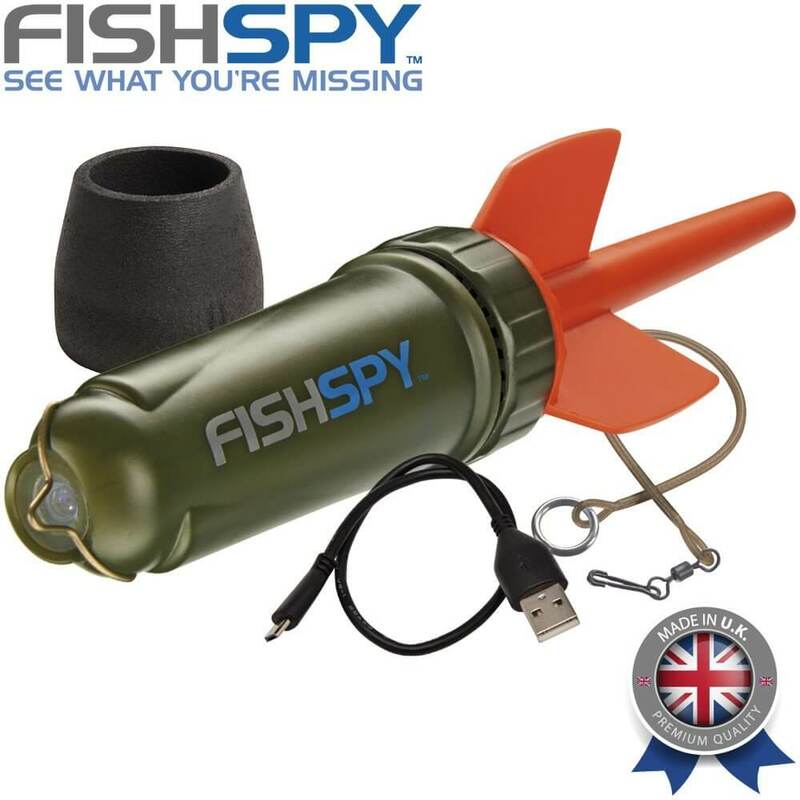 Ideal for overnight fishing. 6 individual legs and very sturdy. Fully adjustable back with foldable armrests. Folds completely flat so easy to store and put in the back of your car when travelling. This is an excellent all-around fishing chair.